When you're looking for an easy homemade costume that requires little time and no sewing, pirate costumes are not hard to pull off. After all, costume creation is about giving the impression of a character, not a replication of a character's look. However pirates may have actually looked throughout history, we all have the same ideas about what a pirate ought to look like. Start with something pretty simple; you can always jazz up the costume with accessories. For the shirt, a large white or tan colored shirt will do the trick--the more voluminous the sleeves, the better. (Buy it oversized.) Blouses work well for a pirate top. Pair the shirt with a vest. If you want to wear a skirt, go for a full one in a dark color, to the knees or longer. From there, either pin up the skirt with safety pins or cut a large zigzag pattern at the hem of the dress and let it fray. If you'd rather have pants, choose a wide pair. Add zigzag cuts, tucking them into wide boots or leaving them hanging. Accessories really make the pirate costume. Find a plastic cutlass at a costume shop, or make one out of cardboard. Try wrapping the blade in aluminum foil or duct tape, and wrap the hilt with black electrical tape. If you have a red scarf or some red fabric, use it as a sash around your waist, leaving long, hanging ends, and tuck the cutlass into it. Use a solid color bandana or more material from the sash to make a head wrap. Making a pirate hat goes outside the realm of easy, so buy a pirate hat from a costume shop or glue a skull and cross bones on a wide-brimmed black hat. Wear large gold hoops for earrings and add a jaunty eye patch over one eye. 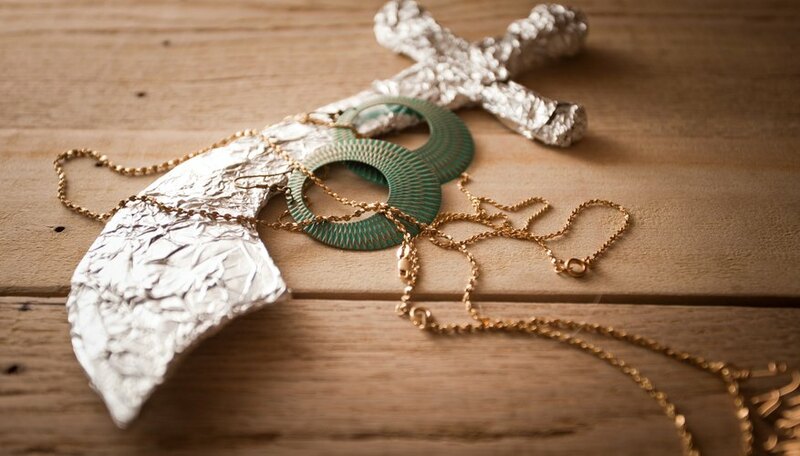 Pirates are always after treasure, so tuck a few "gold" bead necklaces into the sash or tie on a drawstring pouch and have the beads dangle from that. Makeup is the finishing touch for an easy pirate costume. Use bronzer on your face and any other exposed skin to create a tan since pirates spend so much time in the sun. Eyeliner for older girls can help transform their face to create a fierce-looking pirate. Brown or mauve lipstick also helps darken the look. 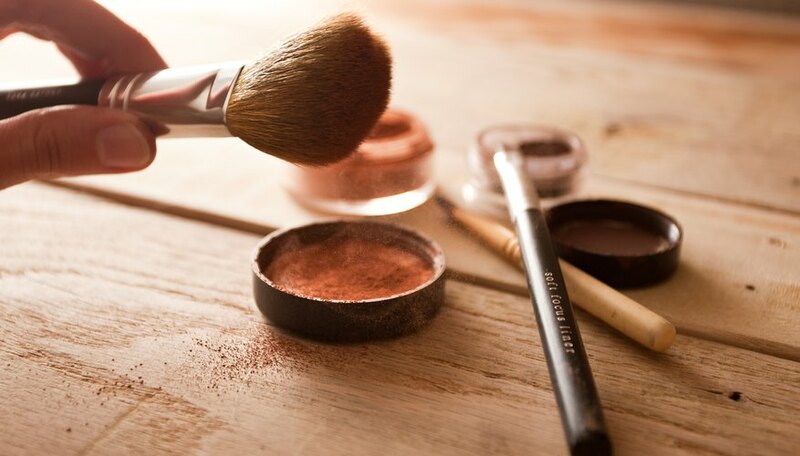 Pirates are often dirty, so apply more bronzer or smudge black eyeliner in places.